I'm excited to announce that I finally found a website where I can offer you a matching sock monkey shirt for you child's birthday party. I tried several websites, but none had the right sizes and options that I wanted. So I finally found Zazzle and I really like their options and prices. 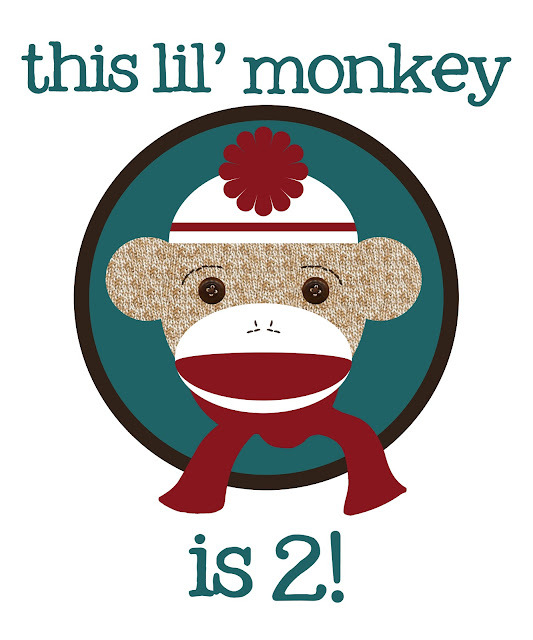 I've created a cute shirt for your little monkey that you can buy for a really reasonable price. I've read great reviews of Zazzle's quality and shipping times, so I'm optimistic that this will be a good company to work with. Please let me know if you use my decorations, I'd love to see pictures!